The JV volleyball team lost all 3 games today at the Mississinewa Invite to fall to 5-14 on the season. They lost game two to Southwood, 14-25, 10-25. They lost game two to Oak Hill 11-25, 9-25. They lost the finale to Elwood 17-25, 18-25. 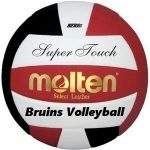 Coach Tricia Milholland said, “Today we struggled with our serving. 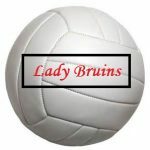 The Lady Bruin volleyball teams traveled to Jay County last night and both teams came up on the short end. The varsity lost their match 4-25, 14-25, 13-25. Coach Mark Rodgers shared, “(we) passed well and had chances to score but was unable to kill the ball.” Tori Baker had 2 kills and 5 digs.